Alastair Darlingâ€™s (30th October) call for Shell and the other oil majors to reduce the pump price of petrol reveals an ignorance of how the oil business really works. There is little modern case for Shell, BP or the rest of the oil companies to be involved in petrol retailing at all. There are no vertically integrated benefits any more – every internal transaction (from wellhead to pump) is done at a market value related transfer price. So Shellâ€™s petrol station business in the UK receives its product at an open-market determined price â€“ exactly the same price basis as an independent (like Tesco) would pay to a refiner or trader. That price is precisely linked to Crude Oil prices. The resultant pump price (before duty and tax) is determined by this acquisition cost and influenced on the margin by competition in the local trading area. None of the oil companies are much cop as marketers and in recent times their once dominant position has been eroded by the supermarket chains. There is little money for Shell and BP in the oil marketing business â€“ and lots of hassle. It wonâ€™t be long before they get out of it and leave it to people, like Tesco, Asda and Sainsbury, who know what they are doing and who customers have shown they trust more. 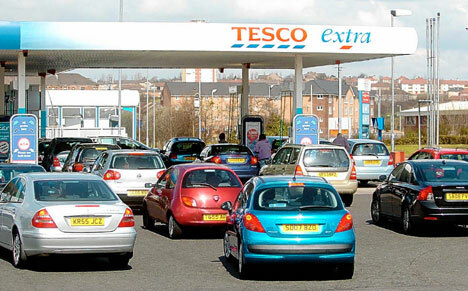 No user commented in " Leave petrol retailing to the professionals – not to the oil companies "